Shameless Tunes Much like the premiere, this episode had a stellar soundtrack. When Carl walked his way back into the Gallagher house – “We Trying to Stay Alive” by Wyclef Jean ft. John... 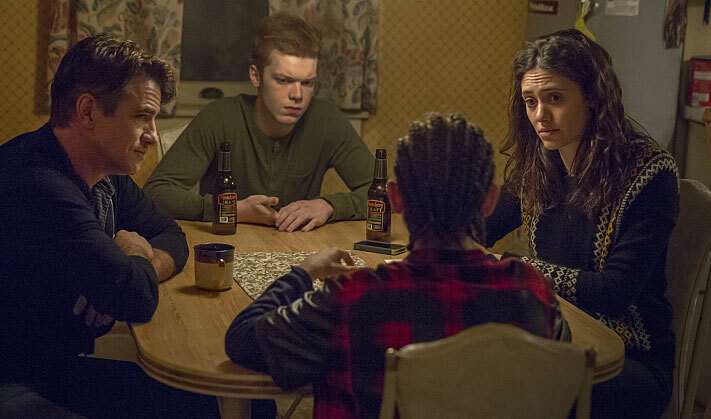 In the wake of Emmy Rossum announcing her exit from the Showtime series Shameless at the end of its ninth season, there are questions about whether the show will go on to a tenth season. After five hours of driving, hearing the GPS say "Turn right onto South Homan Avenue" was a blessing. My eyes peeled to the side of the road, viciously looking for what I have been driving so long for, when finally, I see it: the house from Shameless.